The compilation box set Highway: 30 Years of America is allegedly considered the "best" of this folk rock band’s output. To be honest, a more appropriate "best of" collection for America would be a vinyl single with "Horse With No Name" on one side and "Tin Man" on the other. Even those two songs aren't all that interesting, but they do have at least a little camp-humor value. The other 62 tracks on this three-disc box set include typical odes to "Woman Power" such as "I Need You," "Baby It’s Up to You," "Only in Your Heart," and "My Dear." There’s nothing wrong with uplifting songs about womanhood, but they all sound pretty forced when sung by a group of guys. Highway also includes quite a few songs with themes that still seem to be stuck in the ‘60s. How else could you explain song titles like "Nothing’s So Far Away (As Yesterday)," "You Can Do Magic," "The Last Unicorn," "Sister Golden Hair," and "Daisy Jane"? 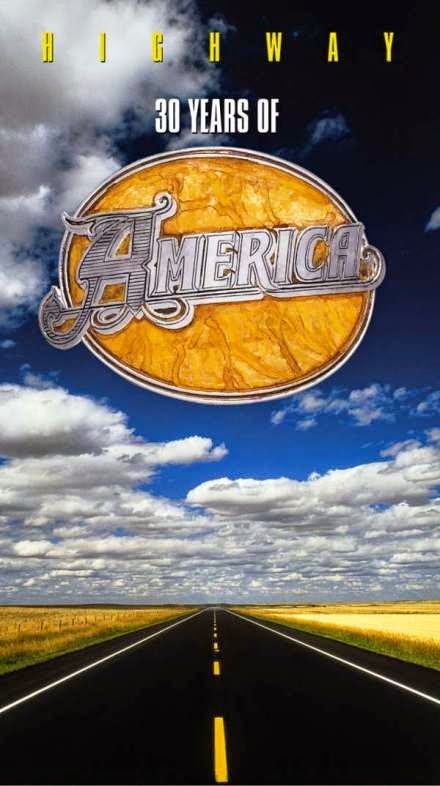 Some of these songs were recorded well after the band’s heyday – America continued to record will into the mid-Eighties, even though no one really cared about them after the mid-Seventies. Their last album "Here and Now" was released in 2007. Halfway through the second disc of this box set, you begin to realize that America really only wrote five songs. They just re-arranged each of these songs a few times and changed the words around a bit. Still, I can understood why someone would like to own a few songs by America – these songs are relaxing, smooth and non-challenging. It’s fine music for listening to when you’re in the lounge at a Holiday Inn, for example. But for the life of me, I cannot understand why anyone would want to own SIXTY-FREAKING-FOUR songs by America.